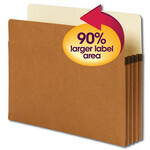 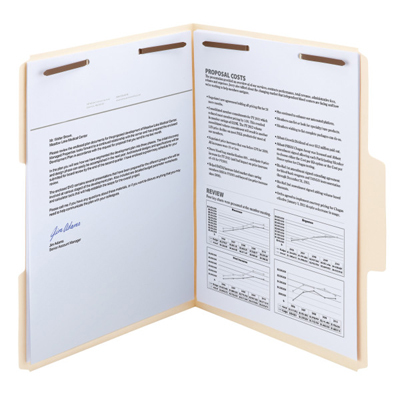 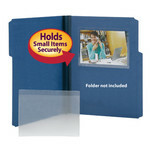 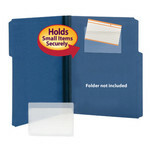 Keep papers secure and in order. 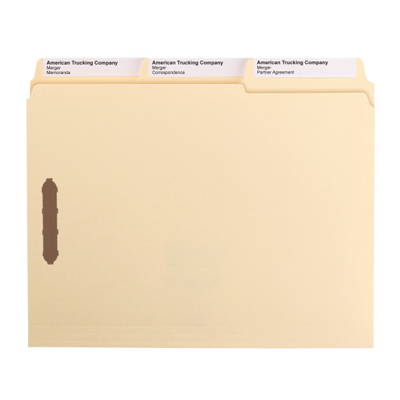 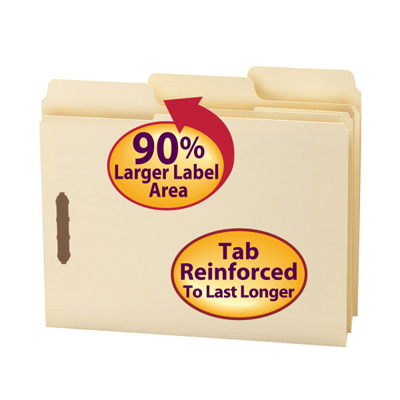 Get nearly double the labeling area of a standard fastener folder, so you can write bigger or use more lines of description. 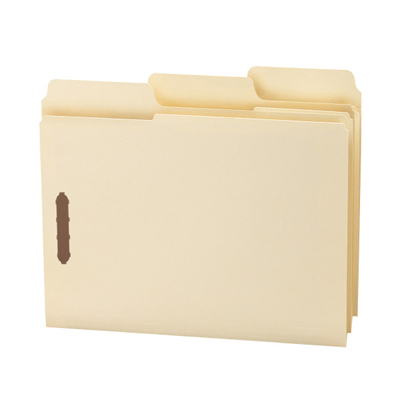 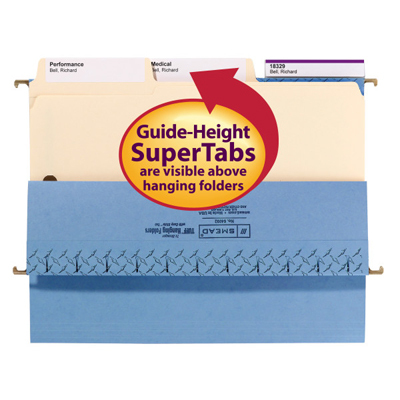 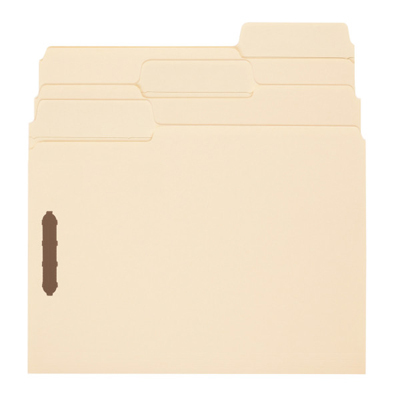 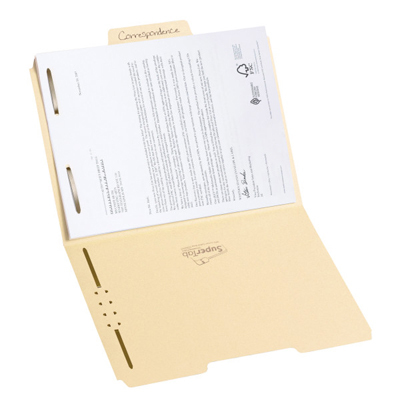 Choose one or two fasteners to subdivide and keep papers secure. 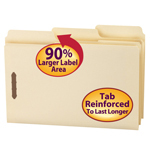 Reinforced tab provides extra durability at the point of greatest wear.